Energizer – Briar from Energizer spoke to the junior room this week about sweet drinks and how much sugar they contain. 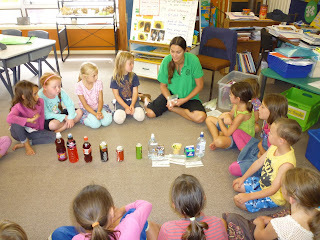 She asked the children to put the drinks into order from lowest sugar content to highest sugar content as pictured, with interesting results. Charity Trail Bike Ride - Can everyone please return their forms by tomorrow as a note will come home this Friday with the roster for the volunteers on Sunday 10th March. Thank you to those few who have already done so. Bee Stings - Is your child allergic to bee stings? If so, please let the school know, so we can be prepared in an emergency. Paid Union Meeting for Primary Teachers will be on Wednesday 13th March at 1.30pm. Please arrange for your child/ren to be picked up from the school at 12.30pm. We will let you know what time the school bus will leave school on this day. River Hopping - for the senior room, is planned for some time over the next week or two. Parent supervision will be required, so we will let you know as soon as we have a date. Marine Biodiversity - The senior room will be looking at Marine Biodiversity with Greg Pilcher from Coromandel Peninsula EMR over the coming weeks. This is also open to parents who are interested in coming along. There is a class pool session booked for Monday 11th March, followed by a trip to Hahei on Monday 18th March. If you or your child own their own snorkel and gear, please bring these along to the sessions. Snorkel gear will be provided if you don't have any. Macadamia & Scarecrow visit - we are still waiting for some transport and permission slips to come back. It would be a shame if your child was unable to attend this visit because we did not have their permission to attend. 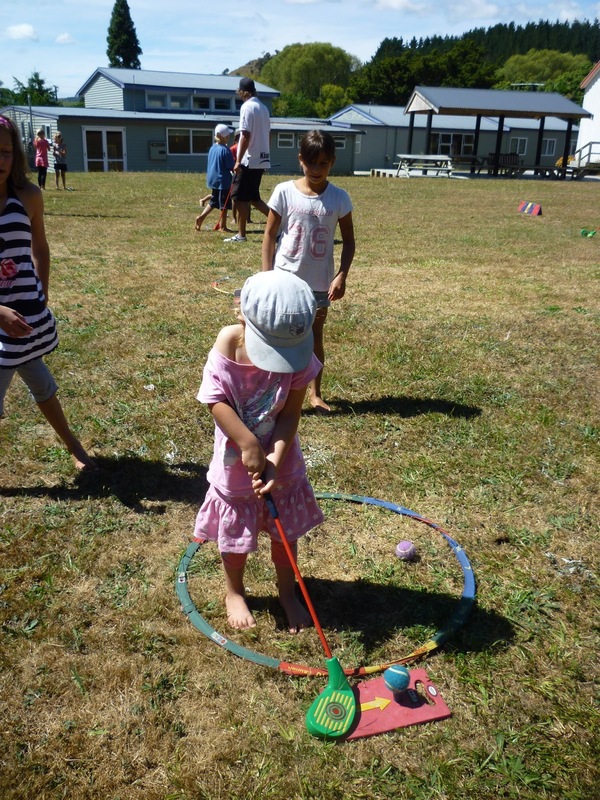 Kiwi Golf - Sam Woodham from Kiwisport Waikato was at the school on Monday introducing the children to golf. He will be running these sessions over the next few weeks. Pictured is new entrant Aria Macdonald as she lines up the ball.